Does your child fancy himself to be a kung-fu master? Did your friend just get his black belt? 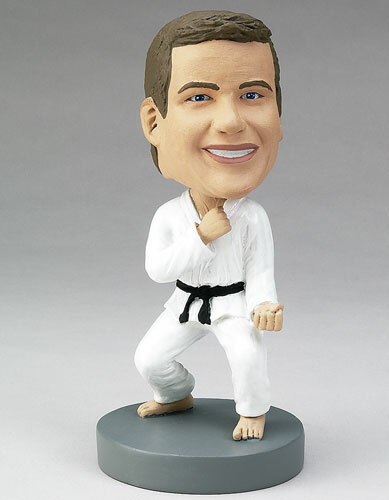 Celebrate their achievements with a karate bobblehead customized for them! The belt color can be changed, and accessories can be added that are used in their particular type of martial arts.